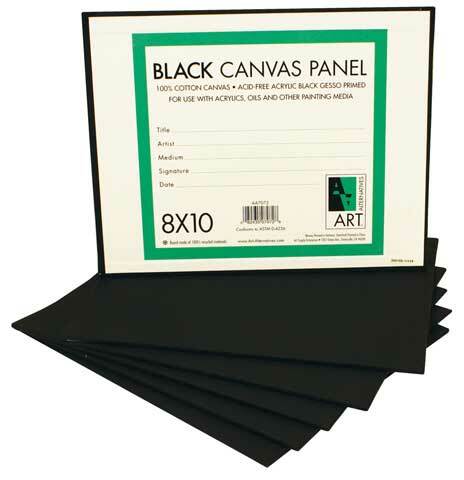 An economical and easily portable alternative to stretched canvas - great for students and artists on the go. Designed for use with all media. 100% cotton canvas is primed with acid-free black acrylic gesso, providing a dark rich background for traditional paints and techniques as well as paint markers, spray paint and multi-media techniques. Canvas wraps around all sides and is secured in place on the backside. The convenient label provides an area to identify the artist, title, medium, etc. Recycled paper board core is acid-free.